Reinforcements are on the way for the dangerously-depleted Denver Nuggets. On Thursday afternoon, the Nuggets announced an injury update that stated all three of Will Barton, Gary Harris, and Paul Millsap “all continue to progress with their respective rehabilitation programs and will continue to be evaluated on a weekly basis going forward”. That essentially means that Harris’ 3-to-4 week timetable and Millsap’s 4-to-6 week timetable are now a thing of the past. Now, the rehabilitation process for all three of Barton, Harris, and Millsap will likely be ramping up as they evaluated how their respective injuries handle the increased workload each week. So when can each of those three players be expected back on the floor for the Nuggets? Of all six players on the Nuggets injury report, it seems like Barton is the closest to returning to the hardwood. 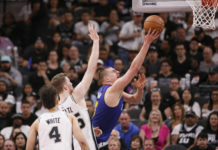 He injured his hip/core area on the right side of his body in the second game of the season against the Phoenix Suns on October 20th and has now missed nearly nine weeks after needing to get surgery to repair the damage. The plan was to re-evaluate Barton after six weeks and once that milestone was hit, Barton began ramping up his rehabilitation process. Now, it has now been two-and-a-half weeks since Barton eclipsed that six-week mark and it is looking more and more like Barton is close to returning. He has been on a week-to-week evaluation schedule since his six-week assessment, has been a limited participant in practice, and has been running and cutting on his right leg. This is purely speculation, but it seems as if Barton could return as soon as December 28th when the Denver Nuggets take on the San Antonio Spurs in the friendly confines of the Pepsi Center. That day would nine weeks and three days since Barton underwent surgery. Still, Denver will almost assuredly be ultra conservative with Barton because he has never had to undergo surgery in his career and this is by far the worst injury he has ever sustained. The Nuggets’ priority is getting Barton back to 100 percent healthy and not rushing him back onto the floor. Even with that being said, it would be very surprising if Barton is held out much longer. There does seem to be a high likelihood of Barton returning to the floor by January 1st, 2019 at home against the New York Knicks. While Barton is likely the first player to return from injury, Harris could either return at the exact same time as him or just a game or two afterwards. Harris went up for a layup on December 3rd in Toronto against the Raptors and, as he landed, it was immediately clear he was hurting as he reached for his right groin and winced with pain. Harris was later diagnosed with a right hip injury which was set to keep him out for 3-to-4 weeks. Harris was recently been seen going through a workout during pregame warmups before Denver took on and defeated the Dallas Mavericks. 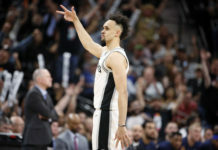 In that 15-20 minute workout, Harris was running, shooting, cutting, and jumping at nearly full speed which bodes well for the hope of a quick return to the court. Gary Harris is out warming up early. Good to see him running, cutting, and jumping without much of an issue. Now, Harris is on a week-to-week evaluation schedule, but if the original timetable ends up true, Harris could return as soon as December 28th — three weeks and four days since his injury — at home against the Spurs. 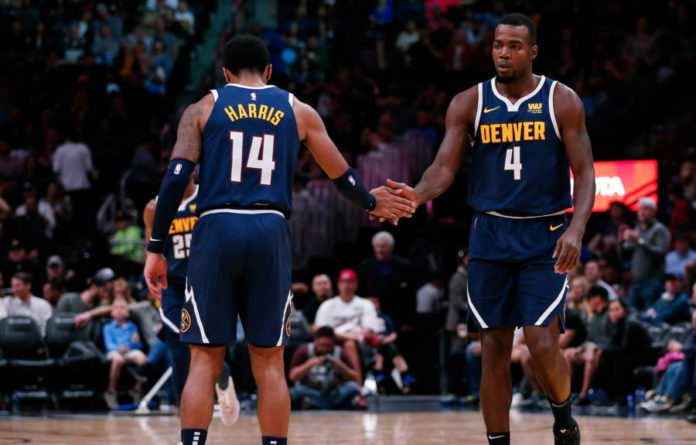 If he does not play on the 28th, good odds would be on Harris returning on the first day of the year when the Nuggets take on the Knicks in the Pepsi Center in downtown Denver, but like Barton, getting Harris back to full health is going to be prioritized over getting him back as soon as possible. Both of Barton and Harris being on a week-to-week evaluation schedule is something that was already known, but Millsap’s inclusion in the Nuggets injury update was the most surprising part of the announcement. Millsap, on December 7th — just 13 days prior to the Nuggets most recent injury update that came out on Thursday evening — had broken his big toe on his right foot and was expected to be out for 4-to-6 weeks. But now, Millsap is now also on a week-to-week evaluation schedule which likely means that he is inching closer to a return and could be back within the next month if not sooner. There is not much else to takeaway from Millsap’s updated timeframe, but it is a very good sign that he is progressing in the way the Nuggets had hoped. Millsap could potentially return anywhere between January 1st or January 17th, which is an incredibly vague timeline, but he is on track to return sooner rather than later. Jarred Vanderbilt, Isaiah Thomas, and Michael Porter Jr. While no one in this trio of players was mentioned in the Nuggets newest injury update, it only feels right to at least provide the minimal updates available for each player to be thorough. First and foremost, Vanderbilt — who has been sidelined all year after getting surgery on his right foot during the offseason — is finally beginning to take part in portions of practice. There is still no timetable on when he could return, but the fact that he is finally able to get some on-court work in is a good sign. In the meantime, Vanderbilt has apparently also “fallen in love with the weight room,” according to president of basketball operations Tim Connelly. Next is Thomas, who has not progressed as quickly as the Nuggets organization had hoped after getting surgery on his injured right hip. Thomas is still just mostly shooting and working on strengthening his hip at this point in time. Thomas has hinted at a December return on multiple occasions, but the days in December are running out quickly and Thomas does not seem any closer to donning a Nuggets uniform instead of a suit. There is still no timetable for Thomas’ Nuggets debut. Last, but not least is Porter, who had a second surgery on his lower back this offseason after being drafted by the Nuggets. Like both Vanderbilt and Thomas, there is no timetable for Porter’s return, but he has been seen shooting for about two months now. 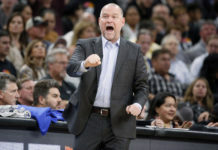 It has been widely speculated that Porter will not play at all this season as the Nuggets training staff looks to get him fully healthy, but not confirmed in any setting.